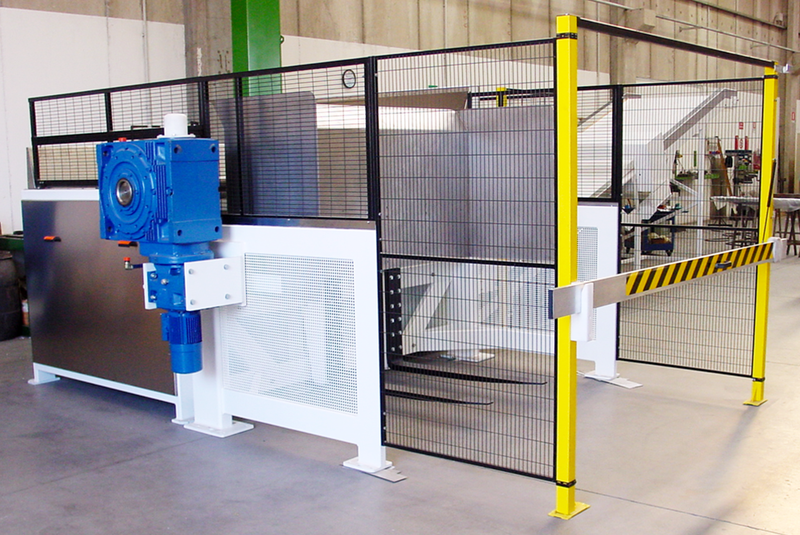 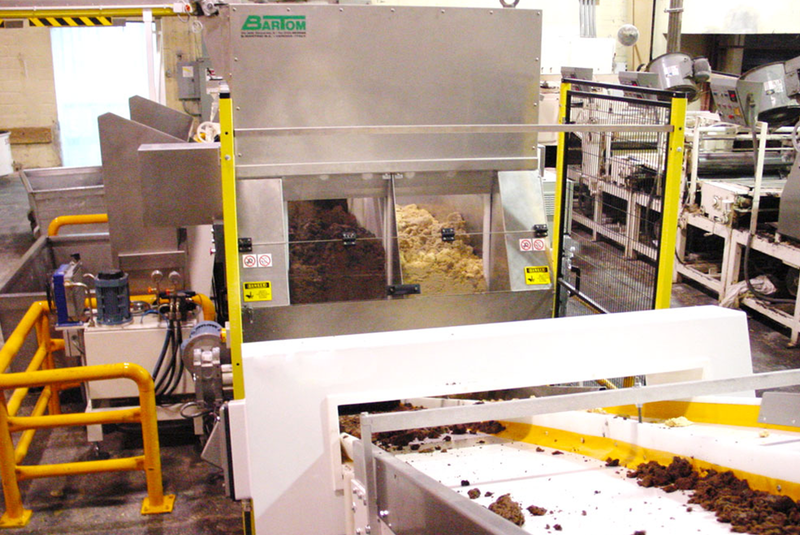 Hydraulic forks for tub overturning positioned behind or to the side of the machine, with security photo-cells. 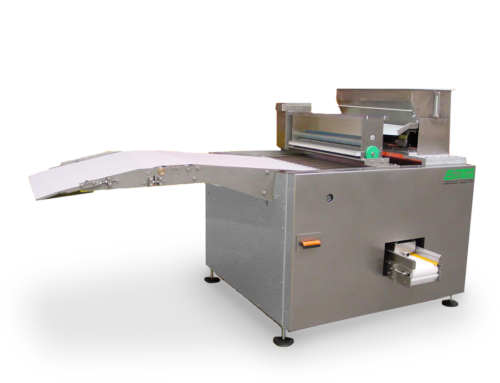 A stainless steel tank with an automatic belt conveyor that move dough under a cutter, adjustable for different thickness of cut. 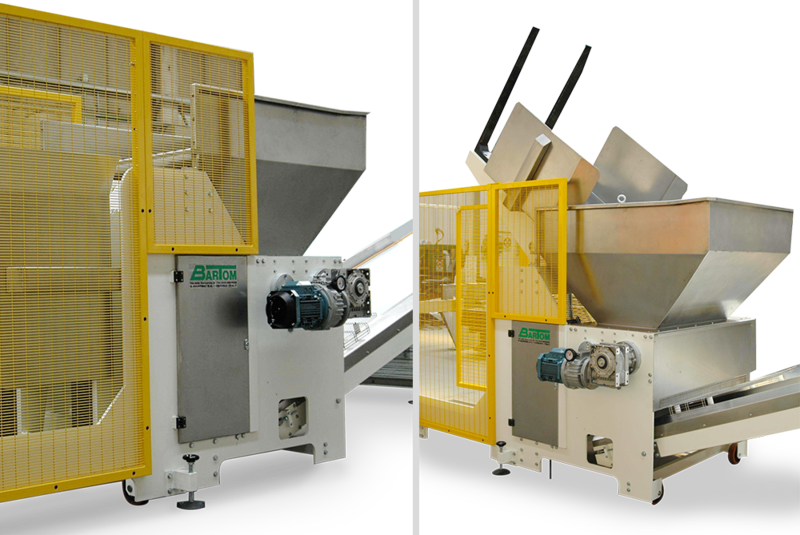 By-pass system allows dough slice passing through a kibbler that reduces the slice into small parts, for a perfect feeding of rotary moulder or of three-cylinder vertical sheet roller. 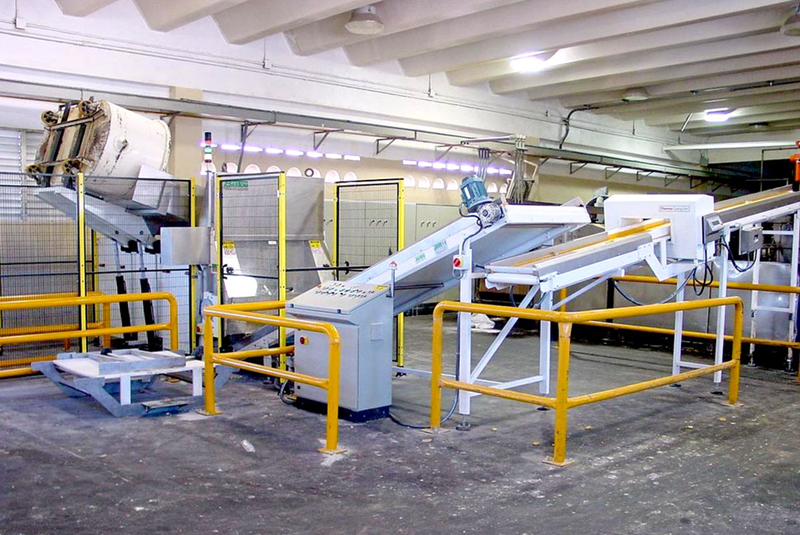 Output slope conveyor with metal detector and by-pass system for automatic rejection of polluted dough. 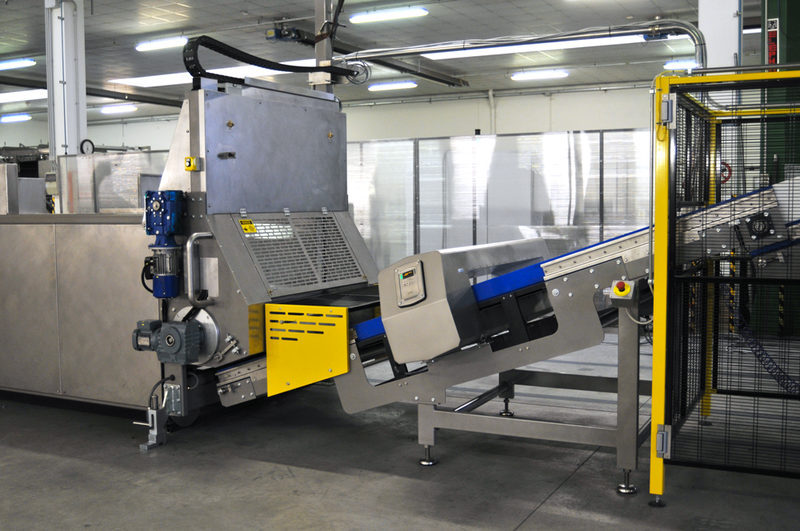 The hydraulic or mechanicals forks for the overturning of dough forming trays are positioned behind or to the side of the machine, with the cells to detect the presence of any persons. 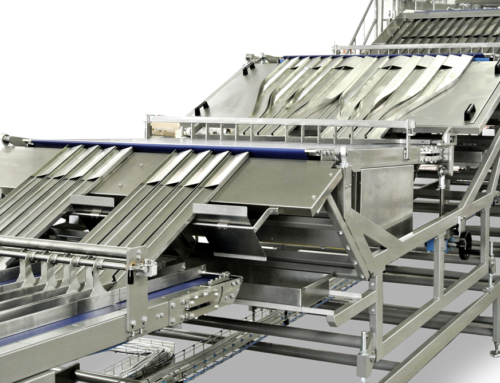 A conveyor belt with stainless steel tank to contain all the dough that moves under a stainless steel knife, that can be adjusted for different thickness of cut. 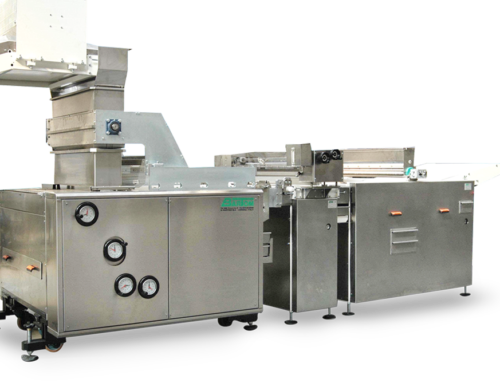 The by-pass system makes it possible to pass the dough slice through a feed beater that reduces the slice into small parts so the rotary moulding machine can be properly and evenly fed, or for the feeding of a three-cylinder vertical sheet roller for pastry forming. 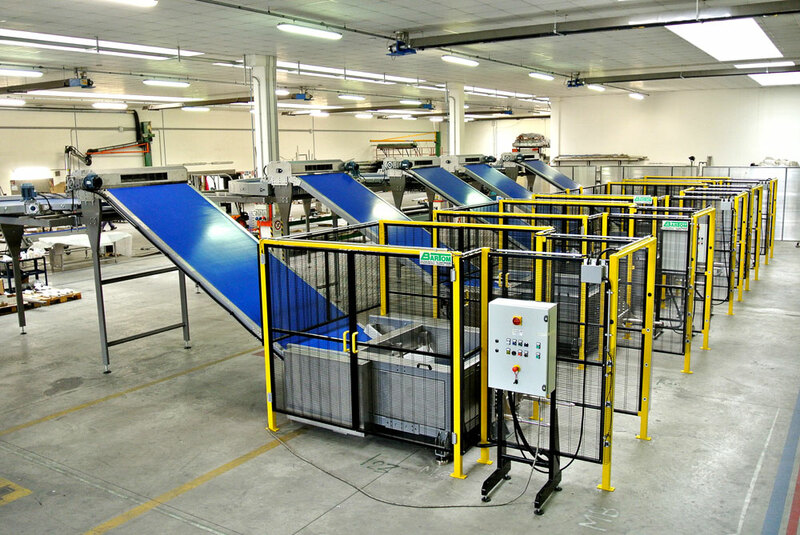 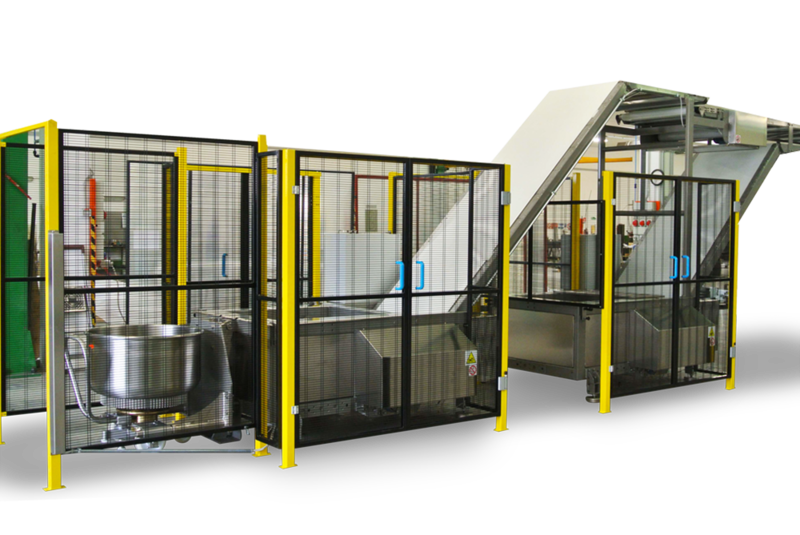 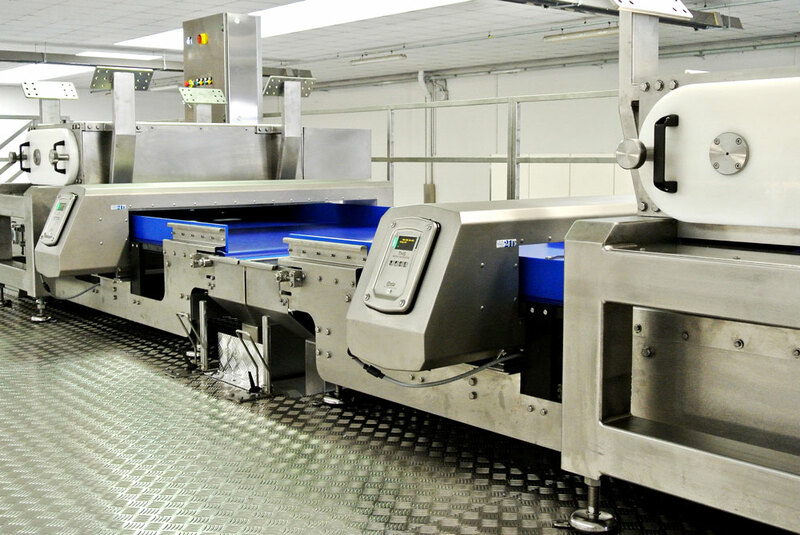 An output conveyor with metal detector to check for any very small metallic particles. 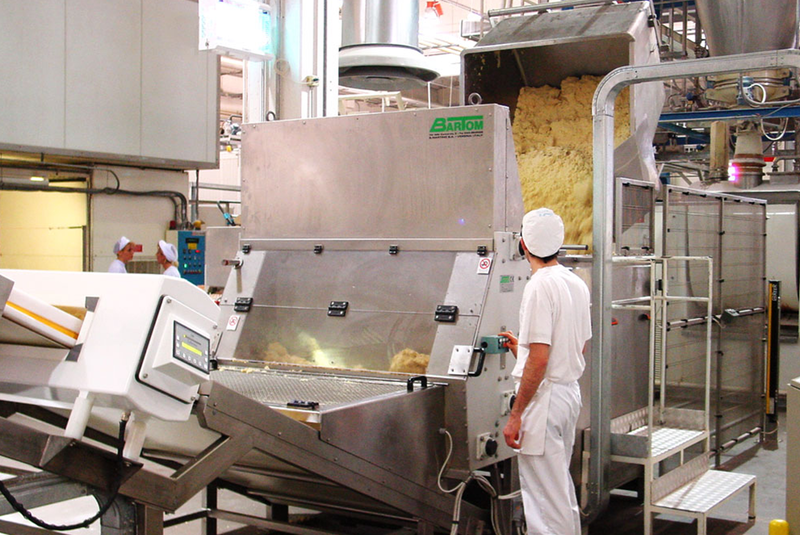 If there are any present the dough concerned will be automatically rejected.